The company achieves this through the use of proprietary vectors (pUV™), transient transfection of a high-yielding mammalian cell line (HEXpress™) and a universal purification platform. 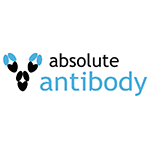 In this way 100s of mgs can be produced within two weeks and it allows Antibody Engineering, e.g. rapid reformatting or generation of unusual formats like Fc Silent™, bi-specific antibodies, recombinant Fab and Fab2 (AbFab2™) fragments.